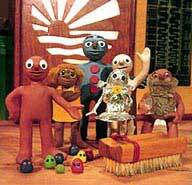 Morph was an eighties claymation (or stop motion aminamtion) children's tv programme produced by Aardman Animations. Initially shown as part of "Hart Beat" with Tony Hart and eventually developing into it's own show with the following characters. This category was suggested by a Pub Quiz Help user.